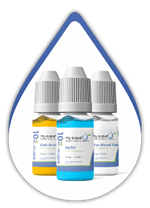 Our Pure eLiquid®-Blend with 12 mg/ ml nicotine is just perfect to DIY mix liquids with flavors, dilute liquids or adjust the nicotine strength. Our mixture is delivered in a brown plastic bottle. Ingredients:vegetable glycerine (VG), E422 (DAB, Ph. Eur. ), Propylene glycol (PG), E1520 (Ph. Eur. 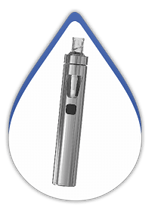 ), water and 12 mg nicotine per ml. Make sure this product is used by experienced persons only. This product is made only for DIY mixing - not for direct consumption. Caution!!! Keep out of the reach and sight of children!!! From a legal point of view, these products are considered chemicals which are used to create eLiquids. These chemicals are offered and sold to experienced customers for this purpose only. Appropriate use is the responsibility of the customer. These chemicals are neither pharmaceuticals nor foods. Please be aware that these products are unsuitable for immediate consumption. We also do not give any obligatory dosage instructions. Use at your own risk. my-eLiquid is not liable for any damage, illness, discomfort or injuries. Our products should only be used and ordered by customers who have the necessary experience and knowledge regarding the handling of these chemicals and substances. The indications refer to milliliter. Using the right mixing ratio for bases is crucial for the desired effect that can be easily influenced by the two substances propylene glycol (PG) and vegetable glycerin (VG). PG binds very well to the flavoring and is therefore responsible for the liquid’s flavor. VG however, tastes slightly sweet and produces dense vape clouds. The higher the ratio of PG, the less vapor is produced and the less taste is altered. With a traditional ratio of 55:35:10 (PG:VG:H2O) you receive average vapor. With a VG ratio of 80 %, you get a lot of dense and sweet clouds. In order to offer maximum safety and highest quality, all our employees are trained by TÜV Süd. We use only products of pharmacopoeia quality for the preparation of our liquid bases. Every delivery of raw materials is checked thoroughly. Despite first-class products, we are able to maintain the prices for our e-liquid bases in the medium price segment. Thanks to careful and accurate working methods and steady raw material testing, quality is not just a name but an experience to us. If you are or used to be a heavy smoker and have a small refillable e-cigarette, nicotine strengths between 12mg and 18mg could be right for you. The more vapor your device produces, the less nicotine you should use. If you smoke less than one pack of cigarettes per day, 6mg should be a good choice. Please be aware that if you are a non-smoker, your e-liquids should not contain any nicotine! Dies Produkt mische ich mit 6mg der anderen Sorte und mache dann nur noch etwas Frucht Liquid dazu. Ich verwend es zum mischen. Würde auf jeden Fall weiter empfehlen. Alle my-eliquid Basen mit Nikotin sind qualitativ sehr hochwertig. Hab die Base jetzt schon mehrfach bestellt und bin sehr zufrieden damit. Das Base ist sehr gut, hat kein Beigeschmack und lässt sich sehr gut mit Alles mischen und ist kräftig vom Nikotin Gehalt laut der Angabe von 12 mg werde es wieder kaufen. Für mich bisher die beste Liquid Base. Eine sehr gute Base. Kein übler Nachgeschmack. Für uns perfekt. Sehr gute Base. Bestelle nur hier. Ich bin 100%tig zufrieden und empfehle dieses Produkt. Die Basen machen genau das was sie sollen. Also alles super. Ich verwende das Basisliquid für Grundlage für die Mischung meiner persönlichen Liquids. Ich kann das Basisliquid uneingeschränkt jedem und jeder empfehlen. Mit der Qualität bin ich sehr zufrieden. mir ist 12 mg ausreichend um mir das normale rauchen abzugewöhnen. Die Base hat keinen Eigengeschmack. Auf jeden Fall kann und werde ich diese Basis im Dampfenden Freundeskreis weiterempfehlen.Ich bin sehr zufrieden. Verwende seit 3 Jahren nur diese Basis. Das zeigt meine Zufriedenheit. Sehr gute Base ohne Beigeschmack, wirklich rein! Dieses Basic Liquid ist bereits rege in Gebrauch. Es schmeckt angenehm und ich dampfe es gern auch ohne Aroma. Das Liquid kann ich guten Gewissens weiter empfehlen. Sehr ausgewogen.So wie ich es mag. Top Basisliquid. Geschmacksneutral und ideal zum allmählichen Verdünnen mit der Fertigmischung ohne Nikotin. Ich mische das Produkt mit Aroma und dampfe es im istick 30 Watt. gute base....nutze sie häufig und kann nix schlechtes darüber sagen. Guter Preis und bin zufrieden damit. Super, Liquids dadurch leicht zu mischen, auch für "Anfänger"! Da gibt es nicht viel zu sagen. Alles top. Pure Fertigmischungen sind einfach perfekt. Verwendung für das Selbstmischen von RTA-Liquids, sehr gutes Produkt. Geschmacklich neutrale Liquidbasis, die mir nach den ersten Versuchen sehr hochwertig erscheint. Das MHD ist jedoch relativ knapp (8 Monate), so dass ich bei einer Nachbestellung auf eine kleinere Gebindegrösse umsteigen muss. Die Mischung ist völlig in Ordnung. Die Qualität seit Jahren gleichbleibend. Kann ich nichts zu sagen da sie für einen Freund war, aber er ist immer begeistert von den Basen! Sehr gute Fertigmischung für das problemlose aromatisieren. Da kann eigentlich nichts schief gehen. Super Dampf und Flash bei der 50/50 Mischung. Gute neutrale Basis. Perfekt für Selbermischer! Gut verpackt in PET in braun! Das ist schon besonders gut! Beste Basis. mehr gibst nicht zu sagen !! Das gleiche wie bei den 0er Basen, einfach gut. Verdünne diese auf meinen, und den meiner Frau, Nikotingehalt. Habe die 55/35/10 Mischung gekauft. Super Qualität: sehr gute Dampfentwicklung, optimale Viskosität, so gut wie kein Eigengeschmack und Geruch. Nutze diese Basis seit gut zwei Jahren. Dampfentwicklung und Verträglichkeit sind für mich sehr gut. In meinen Augen die beste Basis in Deutschland. Top Base. 1a Qualität zum spitzen Preis. Das vist ab meiner letzten Bestellung mein Stammliquid. Preis-Leistung passt. Ich habe noch keine bessere Basis gedampft! Absolut geruchs/geschmacksneutral mit optimaler Konsistenz für all meine Verdampfer. Dazu ein hervoragender Preis. My-Eliqud ist absolut hip! [E422] (VG) Glycerin (vegetable glycerin). glycerin also occurs in: Cosmetics and animal feed. < b>[E1520] (PG) Propylene glycol is also called 1,2-propanediol. Propylene glycol also occurs in: Hygiene products and cosmetics. Store your base in its original packaging in a cool, dry and dark place. Do not use the product after the expiration date or if visible physical changes, such as turbidity, deposition or layer decay, occur. All products offered here may only be used by persons over 18 years of age. Keep bases out of reach of children and animals. If accidental contact or ingestions should occur, consult a doctor immediately and present the product. The use of this product is at your own risk. Bases are not intended for eating and drinking and should not have contact with food. In case of accidental contact, food is no longer edible. In case of eye or skin contact, rinse immediately with clear water and seek medical advice if symptoms persist. Bases are available with or without nicotine. Please be aware that nicotine is an addictive neurotoxin. Due to vascular changes, it can lead to severe cardiovascular diseases and even premature death. Nicotine has also a negative effect on potency. During pregnancy, nicotine must be avoided. It can cause severe damages to the unborn or even kill it. Please notice that taking the pill increases the risk of thrombosis and pulmonary embolism caused by nicotine. The bases contain the potential allergen propylene glycol. If you are allergic to propylene glycol (PG), the PG containing products should not be used. If you suffer from allergic symptoms like breathing difficulties, cough, rash etc., during vaping, discontinue use immediately. A medical examination is advisable. What do VG and PG mean? VG (vegetable glycerine) and PG (propylene glycol) are the two ingredients for the bases. Instead of PG, PEG 400 (polyethylene glycol) may also be used. Different ratios of the two substances are responsible for different vapor generation and taste. Can I also buy pre-mixed bases? With our raw materials for e-liquids you can create your own liquids. You can either buy ready mixed bases with or without nicotine or the single substances named above. Which nicotine level should I choose? The nicotine level depends on your smoking habits. Former smokers who switch to e-cigarettes often want the used nicotine effect. For most vapers, a level between 9 and 16 mg/ ml is ideal. However, if your device produces much vapor, you should take lower nicotine concentrations. I miss the nicotine flash. What can I do? Especially those making the switch to e-cigs should be patient. While nicotine quickly reaches the brain while smoking, the effect lasts longer when vaping. It may take some time getting used to it. You can try higher nicotine strength if necessary. Can I vape only the base? Theoretically, the base can be vaped pure. But the taste is made by the flavoring. The base itself just has very little taste that comes from the VG which is slightly sweet. Is vaping healthier than smoking? Neither vaping nor smoking is healthy, but vaping is a lot less harmful than smoking. Studies have shown that vaping produces less toxic substances than smoking. Pregnant and breastfeeding women as well as people with cardiovascular diseases should avoid both. It’s a real delicacy! Our luxurious Max Blend Flavouring Concentrate impresses with its wonderfully spicy, pleasantly aromatic and exceptional tobacco taste! Dieser Artikel besteht aus einer nikotinfreien Base sowie der benötigten Anzahl von 10ml Nikotin Shots mit 20mg zum Selbermischen, um 590ml Base mit 3mg Nikotin zu erhalten. So zesty, so fruity and simply summer: that’s our bracing Summersplash Flavour with its unique and refreshing blend of fruity sour cherries and juicy lemons. Our second Woodruff Flavour Concentrate is very delicate and lovely, but still has the full power of the plant in it. Enjoy the refreshing, sweet summer taste! Dieser Artikel besteht aus einer nikotinfreien Base sowie der benötigten Anzahl von 10ml Nikotin Shots mit 20mg zum Selbermischen, um 360ml Base mit 6mg Nikotin zu erhalten. Our delicious Ice Mint Flavour Concentrate offers you the refreshing and energetic combination of breath-taking, cooling mint and a lovely touch of fresh lemon! 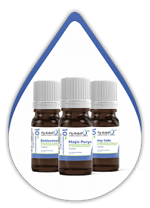 Messzylinder aus Polypropylen (PP), 100 ml, Unterteilung: 1 ml, hohe Form, mit Achtkantfuß und Ausguß, sehr gut durchscheinend, zum Abmessen von Flüssigkeiten. Becherglas aus Borosilikatglas 3.3 mit niedriger Form und 150 ml Inhalt, mit Teilung 50ml, 75ml, 100ml, 125ml und Ausguss zur Herstellung von eigenen Liquids für e-Zigaretten. Chubby Gorilla PET Unicorn dropper bottle 120 ml Tropf-Dosierer und Verschlusskappe. Ideal zum mischen, abfüllen oder herstellen von e-Liquids mit Aromen für e-Zigaretten. LD-PE Flasche dropperbottle 50 ml Tropf-Dosierer und Verschlusskappe. Ideal zum mischen, abfüllen oder herstellen von e-Liquids mit Aromen für e-Zigaretten. 10ml, 3-teilige Einmalspritze, Luer - Ansatz, pro Stück steril verpackt. Bis Sie das richtige Verhältnis der Basen gefunden haben, um die gewünschte Geschmacks- und Dampfentwicklung zu erhalten, kann es einige Versuche dauern. Lassen Sie sich hiervon nicht entmutigen. Tipps und Tricks erhalten Sie in unserem „Gut zu wissen“ Bereich oder unserem Blog. Gerne beraten wir Sie auch vor Ort in einer unserer beiden Filialen in München.